It’s July 2015. Get Your TBR List Ready! I can’t believe half of the year is over. Even so, it’s a new month and with a new month brings a post I love doing, new releases! This month is special because seven of the ten are debut novels. I know we all have ridiculously long TBR lists but the purpose of this monthly post is to highlight new authors, new books and encourage readers to request books from their local bookstores and libraries. What new releases are you looking forward to reading in July? 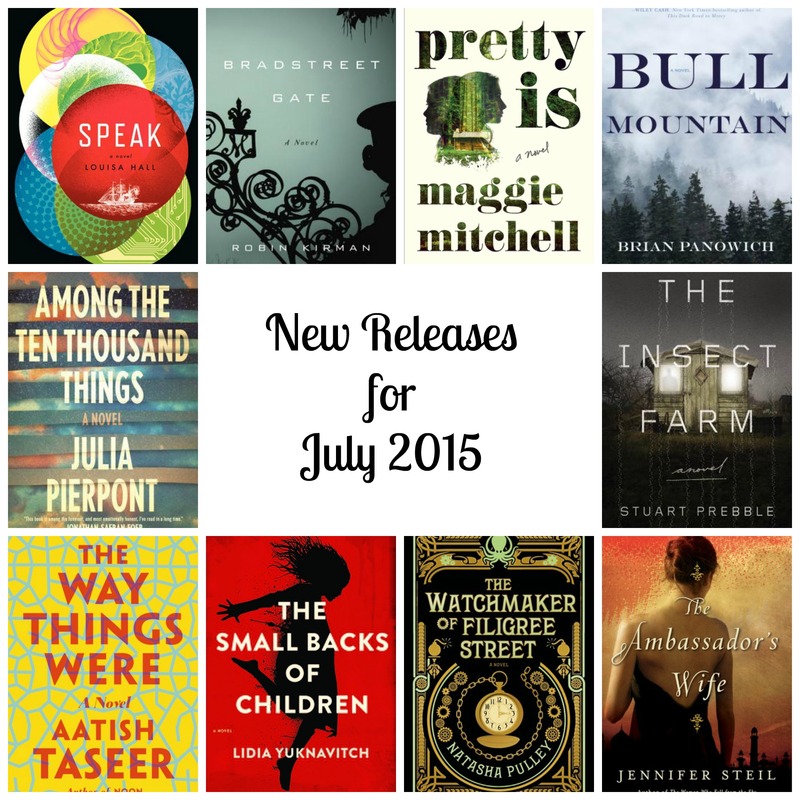 Tags: Get Your TBR list ready, July 2015 new releases, TBR lists. Bookmark the permalink. Previous post ← Favorite Backlist Books So Far This Year. You have some great (hopefully!) reads coming up this month, several of which are also on my “can’t wait” list, including Broadstreet Gate, Pretty Is and Bull Mountain. I’m on the edge about The Insect Farm, so can’t wait to hear what you think about that one. Oh, the good old TBR list and pile. Where would we be without them! Speak and Among the Ten Thousand Things sound fantastic! And Go Set a Watchmen and Circling the Sun! I was really looking forward to The Small Backs of Children until someone (I think it was Jen?) wrote some pretty negative things about it. Do tell about Small Backs! I was going to start it this weekend!! I’ve seen The Watchmaker of Filigree Street advertised all over the tube so I’m intrigued. Obviously, as I’ve said a million times before, I’m super pumped for Bull Mountain – the first chapter… wowza. Speak also intrigued me, and I’m still waiting to hear if I’ll get a e-galley…. July has so much goodness, I know I’ll never be able to get to them all!